Four Island tennis players are heading to the women’s Nationals after winning the New England Championships in Springfield last weekend. 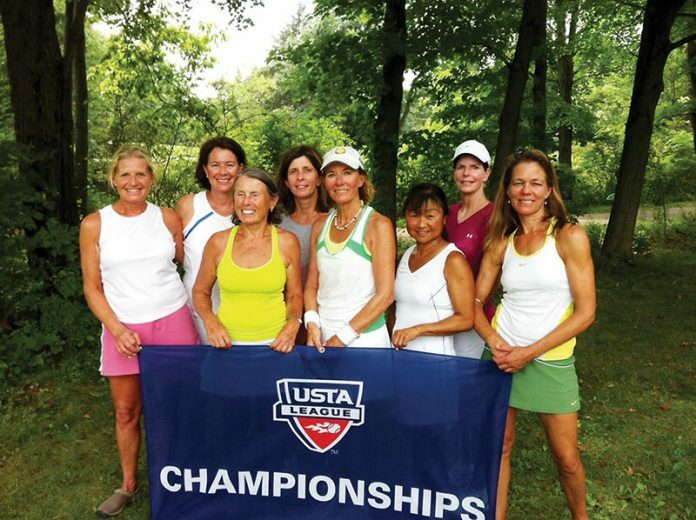 The team, consisting of Vineyarders Debbie Cooper, Sue Kimball, Nina Bramhall, Linda Leahy, and four players from Rhode Island, represented the Ocean State on the 4.5 senior team. The team went undefeated against Maine, Vermont, Massachusetts, and Northern Connecticut and will represent New England at the Nationals, to be held Oct. 14-16 in Palm Springs, Calif.